THE GALAXY EXPRESS: Author Melisse Aires On Self-Publishing, Plus A Free Kindle Ebook! Author Melisse Aires On Self-Publishing, Plus A Free Kindle Ebook! 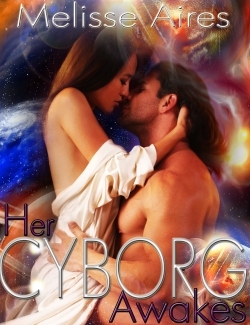 [Heather’s note: I’ve been following the recent self-publishing adventure of science fiction romance author Melisse Aires. When the rights of one of her books reverted back to her, she gave it a new name, a shiny new cover, and re-released it through Amazon. During subsequent email exchanges, she shared some of the details of her experience with me. I was amazed at her results and thought her strategy might be of interest to authors and readers, especially at a time when the fiction distribution system is rapidly changing. Therefore, I invited Ms. Aires to blog about her findings and she generously agreed to tell the story behind her new self-publishing venture. A few years ago I started a series I was excited about. Stand alone scifi romance stories set in a wide, wild galaxy. Four brothers to start with, then later I would match make all their friends in this open ended series I called Diaspora Worlds. But due to the roller coaster ride that is digital small press, I ended up with the rights back to a 35k novella, originally titled Cybot Awakens, actually the first in the series. I had moved on to new stories so it just sat in my cloud of writing files. One day I would get around to doing something with it. I had heard of self publishing, even had an out-of-contract short story on Amazon and Smashwords. It made a tiny bit of money but nothing exciting. One day an online cover artist mentioned she had a sale so I went and looked. One of her covers looked just like the couple in my novella. I commissioned a cover and even got it at a sale price! So then I had the book and the cover sitting in my cloud. I was working on a SFR shifter story and in general keeping busy. I’d started a story about Genteel Ladies with robotic parts, for fun. But I got stomach flu so stayed home from the Day Job one Wednesday. Why not upload the book to Amazon? So I did, with a new title, Her Cyborg Awakes. Amazon had a program with free promotion days, maybe I could use the novella for a little free advertising. I set it up to run for free over Memorial Day, which just happened to be the upcoming weekend. It did well for free! I ended up with 6k free downloads. It also picked up about five reviews, good ones, a better amount than any of my other Kindle books received. My other books also had a boost in sales. It made it to 112 Best Selling Free and stayed for a couple weeks on the Space Opera Bestseller list. After the free days were over I was stunned to watch it sell more copies than anything else has sold for a year. Plus it received several more five star reviews! It made more money from Memorial Day to the end of the month than all my other books combined in the past year. (I had had a rocky year!) Then June rolled around and it kept selling. Now, I didn’t sell like Amanda Hockings, but I made two mortgage payments worth of sales in six weeks. This was a Big Deal to me. Book Two, Alien Blood, was finished. I had started editing it with the idea of submitting it to some of the larger e-publishers. But I’d been reading information on self publishing/indie publishing and learned series are supposed to do well. So why not just get it edited and publish it myself? Plus, instead of waiting nine months to a year for the book to hit retailers, and another three or four months (or more) for checks to transfer to my bank account, I could have it up in a few weeks with payments following in sixty days. I had a synopsis written and a couple of chapters done for book three, Starwoman’s Sanctuary, and a partial synopsis for book four, Big Poison and book five, Cyborg 2ln77. If I worked at it, I could have the first four, the brothers, up by Christmas. These are all novella/novelette length, 35-40k. I could do a bundle. Or even a POD bundle! Several readers contacted me to see if Cyborg was the beginning of a series. Readers! So why shop the rest of the series around? I could hire an editor and buy covers. I could set the metadata, change pricing, covers, bundle them, put them on sale. Self publishing this series just made sense to me. Also to Hubby (“You made how much?”). Since the first book sold I am interested and motivated to see if the next books will sell. Not to mention, I am just a tad control freaky. Obsessed, hubby says, not that he thinks it’s a bad thing. He always knows where I am, right? Hands on keyboard, eyes on the screen. Drinking the hard stuff, coffee. And I can always go back to submitting to publishers. Will I continue to self publish everything I write? Who knows? I don't. The publishing industry is crazy right now and there are no guarantees--except that readers like to read and they will spend money on e-books. And I like to write and find readers. Honestly, though, this is the most fun I’ve had with writing for years! Alien Blood Book 2 will be free on Amazon Kindle July 14 and 15!